Имате въпрос към Blue Boat Hostel Nampo? Разположен в Jung-gu, Blue Boat Hostel Nampo е перфектно място да почувствате духа на Пусан и околностите. Хотелът се намира се на 1 km от центъра на града, поради което неговите гостите могат безпроблемно да се наслаждават на всички градски атракции. С удобното си местоположение хотелът предлага лесен достъп до всички градски забележителности, които задължително трябва да се видят. В Blue Boat Hostel Nampo отличното обслужване и достъпните съоръжения допринасят за Вашия незабравим престой. Безплатен WiFi достъп във всички стаи, магазин за смесени стоки, ежедневно почистване, пощенски услуги, таксиметрови услуги са само част от нещата, които отличават Blue Boat Hostel Nampo от останалите хотели в града. Blue Boat Hostel Nampo разполага с 14 стаи, които са обзаведени с вкус. Много от тях предлагат удобства като телевизор с плосък екран, пречиствател на въздуха, килими, стойка за дрехи, безплатно разтворимо кафе. Пълният списък от съоръжения за отдих е достъпен в хотела и включва лодки, туристически маршрути, уиндсърфингът, сауна, голф игрище (на място). С перфектното си местоположение и несравними удобства, Blue Boat Hostel Nampo е един чудесен избор в много отношения. I didn’t have comment for this guesthouse because for me, it was the great experience to stay here. The lady staff, i didn’t know her name. She was super friendly. She helped me to bring my big luggage to the 2nd floor. She also fluent to communicate in English. 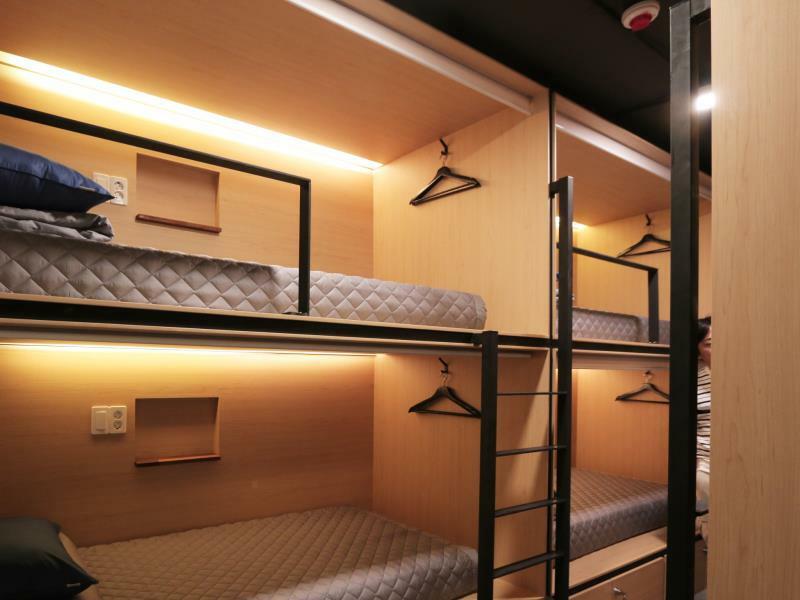 I have no doubt about the quality of Blueboat hostel. Room is clean, bed is comfy, helpful english speaking reception and great location. It is just about 3 mins walking distance to Nampo metro as well as BIFF. Walking distance to many tourist attraction such as the Namsan park, Namsan tower, Jagalchi Market, Lotte Tower and many more. Gamcheon art village is a little far though but is ia very accessible by bus about 15 mins ride. Ask the reception, she will tell u bus numbers to take. I chose this place because of the good reviews and wasn't disappointed! Stayed in a 6-bed female only room, but there were only 3 the first day including myself and then at the end of the 3rd day I was the only one, so was quite comfy. Maybe if all 6 beds were full it would've been a slightly different experience, but that is what a dorm is about. Pros about this place - female-only section which you open with an e-key, the shower, separate shower booths, great location (close to subway, behind Gwangbok fashion st), and most of all the staff. Recommended especially for females on a budget. Thank you for a great review! Happy you had a great stay with us. I hope the times you've been here be good memories to you. Thank you for visiting. I was overwhelmed by the warm welcome at the moment I check in for my stay. The design and the environment is good. Giving a comfortable and cozy feel. There is even a foot massager provided so that you can chill and relax after a long day walk! The downside of the hostel is where it is located above a Karaoke, which may be noisy at times. But there is a free earplug given upon your check in. And you probably not going to use it when you're too tired from your day visit. Everything was perfect.. breakfast missed eggs but it is not a big deal for the value I got for the money there. Only one thing was that because it is in the middle of the main area (which is good), it could get a bit too noisy at night sometimes but you get free earplugs. Had a great time there and the staff were always helpful and nice. Would defiantly recommend to any friend who goes to Busan! Oh Aviel ^^ Thank you for your feedback! I'll try to provide better service the next time you come. I hope the times you've been here be good memories to you. Thank you for visiting. Blue Boat Nampo is a great hostel!! It is clean, there are several of the common facilities, and it is homey. The staff is extremely nice and helpful, and it is in a great and accessible location. I definitely recommend! Despite having some confusion to locate the place, our stay was a pleasant one. The hostel is very bright, clean and comfy. The staff is showing her utmost dedication and we felt very welcoming. It is value for money and it is close to subway and shopping area. By far the best hostel i had while in south korea. 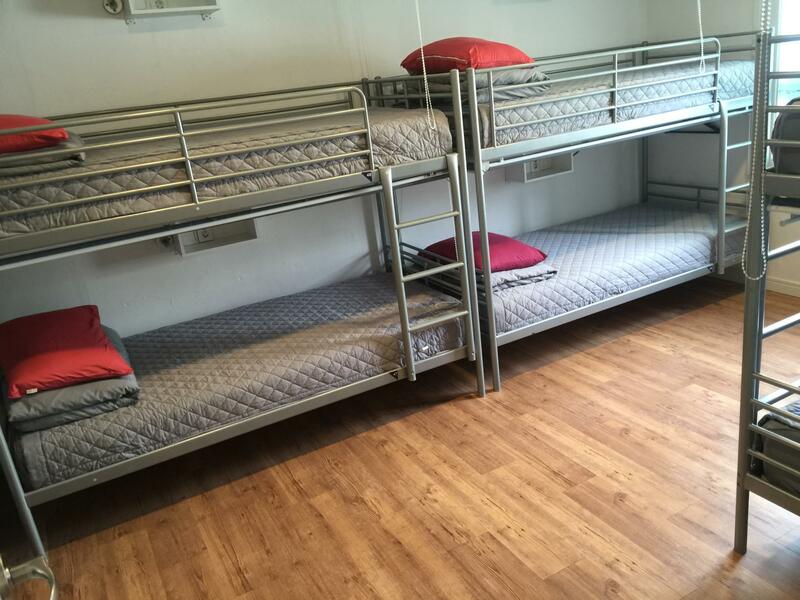 Great hostel, very clean and in a great location. Very friendly staff that were always happy to help! Would stay again! Weren’t much atmosphere when I was there but probably because it was low season. We are so glad your satisfaction with the guest house! We will continue to do our best. We hope the times you've been here be good memories to you. Thank you for visiting. Early check-in, friendly staff, nice clean place, comfy bed - slept really well there. Great location . Food , shopping and subway nearby. Recommended hostel. Nice decoration and feel comfortable. Just the male staff not that efficiency. The staff were so much fun and nice from the moment I walked in. I loved them all and were so helpful. They speak Japanese, Korean, Chinese, English, and who knows how many other languages but they do make you feel welcome. The breakfast was good too actually. They have washing machine but i didnt use it. 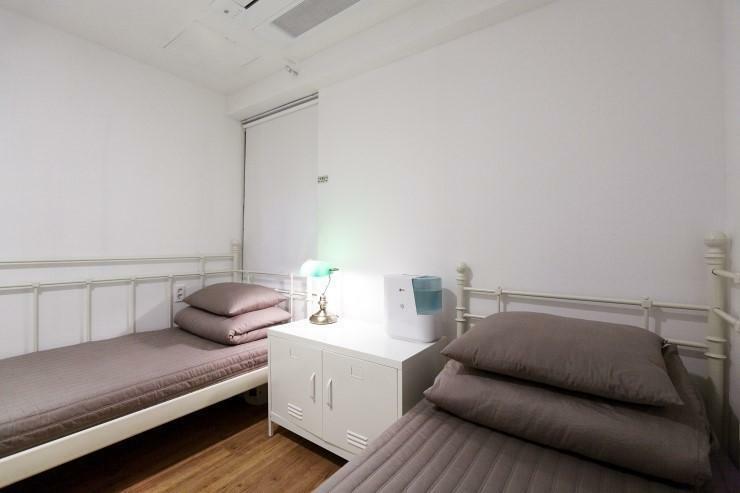 Place is pretty clean, provide slippers, wifi, and the only locker is the one that your shoes go in so a big bag wont fit. But electronic card access to the floors and to your own personal room. separated boy and girl bathroom showers my experience is always good when the staff are kind. You meet other guests around the table in the breakfast time and i liked how they have many items on the maps in the common areas showing you where you can go. There was some music from surrounding areas that was pretty loud though at late night but the 2nd night of my stay I didnt hear. Maybe it was only because it was a weekend during my first night. Hostel does provide ear plugs and towels. Oh David! Thank to fantastic riview! I am pleased and grateful to you for your satisfaction with the guest house. I will continue to do my best. I hope the times you've been here be good memories to you. Thank you for visiting. though i only stayed here for 2 nights..i can say that the staff were very nice.. they can even speak japanese and chinese..they join us in the pantry to have a chat and help us how to get tot the places we want to visit.. the bed is great..more space and there's a locker inside the room. ..toilets and shower rooms are good..have enought space to move.. I like this guesthouse.. would love to go back.. I am pleased and grateful to you for your satisfaction with the guest house. I will continue to do my best. I hope the times you've been here be good memories to you. Thank you for visiting. Like the location and the bunk bed room. The bed quite comfortable and with privacy curtain. Still include breakfast and the breakfast consider good in guesthouse. Very friendly staff which willing to borrow her own plug to me for 4 days and bring me to the bus stop which going to airport . Everything was nice, some of staff not so friendly, please note that if u carry a lot of luggage,here is not recommended because no lift. I carry my luggage by my own when left, it was dying. Other than that all was fine and breakfast was fine. Hello, this is Blue Boat Guest House. I'm very glad to hear that you staied comfortably. It will be a blue boat guest house where you do your best. If you have any chance, please visit next time. Have a nice day. Thank you. The staff go out of their way to help with metro and bus lines for siteseeing. Love the communal area, as a solo traveller it's nice to meet other people. Breakfast was sufficient enough. Safety was high with swipe cards to get into the floors. I would highly recommend as I have travelled extensively around the world, this is a brilliant place to stay.